Alan Pardew paid a heartfelt tribute to former Newcastle midfielder Cheick Tiote, who died aged 30 after collapsing in training with Chinese club Beijing Enterprises. Tiote enjoyed his best years at St James' Park when Pardew was at the helm, with the most memorable moment his left-foot volley which salvaged an incredible 4-4 draw against Arsenal when the Magpies trailed 4-0 at half-time in February 2011. It proved to be his only goal for Newcastle but an uncompromising and tireless approach in the middle of the park endeared him to supporters and Pardew alike - despite regularly finding himself in the referee's notebook. Pardew, who left Newcastle after four years in charge in December 2014, admitted he was heartbroken by the sudden death of Tiote which comes only four months after the Ivorian ended a six-and-a-half-year stay on Tyneside to move to China. The former Southampton and Crystal Palace manager said in a statement: "I'm devastated to hear the news about my former player and friend Cheick Tiote. "From the moment I arrived at Newcastle, Cheick was a wonderful presence around the dressing room and his performances on the field often defied belief. "None of us will ever forget that incredible day when our Newcastle team came from 4-0 down to draw an unbelievable Premier League game against Arsenal, with Cheick's incredible goal in the final moments of that game one of the iconic moments in Premier League history. "I loved him. He's everything that you want in a Newcastle player. To hear the news that he has passed away at the age of 30 breaks my heart and my sympathies go out to all his family and friends who will be devastated by this news." The player's spokesman Emanuele Palladino confirmed the news in a statement on Monday afternoon, saying: "It is with deep sadness that I confirm that my client Cheick Tiote sadly passed away earlier today after collapsing in training with his club Beijing Enterprises. Tiote began his career with Belgian club Anderlecht in 2005 before switching to FC Twente, where he made 86 appearances and won the Eredivisie title under former England manager Steve McClaren in the 2009-10 season. McClaren, who also worked with Tiote when they were at Newcastle, said: "I'm devastated and sad to hear about Cheick. I will miss him dearly. "He was a ferocious competitor on the field but had a beautiful smile off it. His only job was to play football and provide for his family back in the Ivory Coast." Tiote moved to Newcastle in summer 2010 for around Â£3.5million and immediately made his presence felt as a no-nonsense midfielder. In his first two seasons he averaged a yellow card every other game. He captained the side at the start of the 2013-14 campaign, but injuries and a loss of form hindered his progress for the rest of his time with the Magpies. The club said in a statement: "We are devastated to have learnt of the tragic passing of Cheick Tiote at the age of just 30." 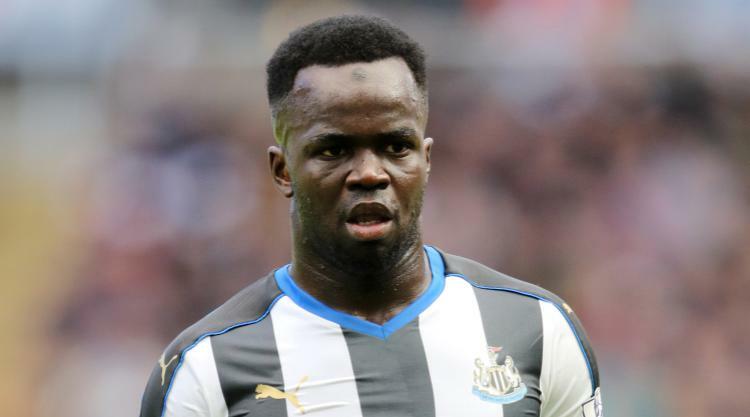 After finding first-team opportunities limited under Rafael Benitez during Newcastle's recent promotion campaign, Tiote left the north-east for Chinese second-tier side Beijing Enterprises, where he made 17 appearances before his death. Benitez said: "It is with great sadness that I have learned of Cheick's death. In all the time that I have known him, he was a true professional, dedicated and above all, a great man." Several of his former Newcastle team-mates, including Jonas Gutierrez, Papiss Cisse and Yohan Cabaye, took to Twitter to express their condolences. Tiote earned 52 caps for Ivory Coast, playing at the 2010 and 2014 World Cups, while he played the first two group games in their 2015 African Nations Cup win.